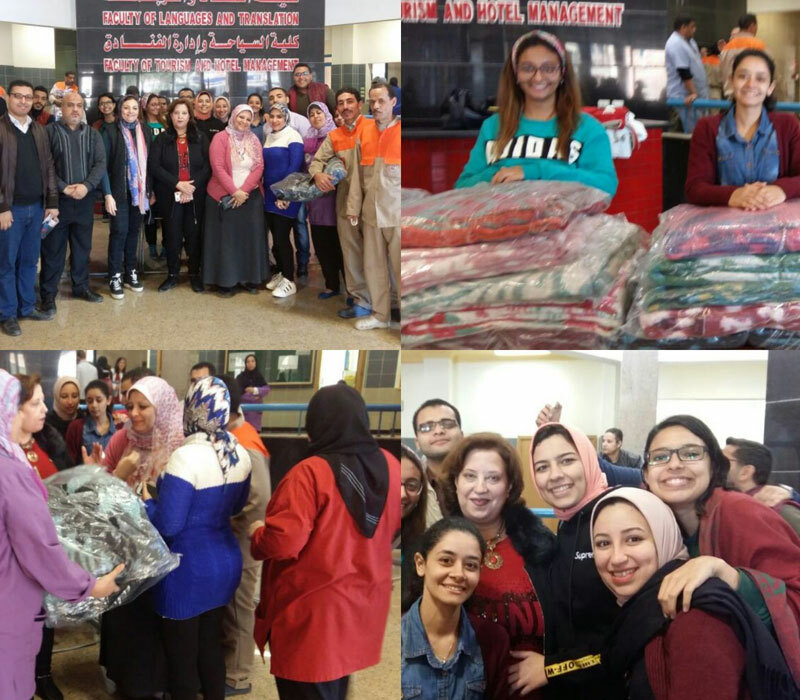 The Social Committee at the faculty of Tourism and Hotel Management organized the annual charity market for blankets on Tuesday 26/12/2017. The market was opened by Prof. Ramadan Abu El-Ala, the Vice President of Community Service & Environment Development Affairs and Prof. Amani Refaat, the Dean of the Faculty of Tourism and Hotel Management. A considerable number of faculty students from different academic years participated at the market. Blankets were sold to the university workers at reasonable prices.